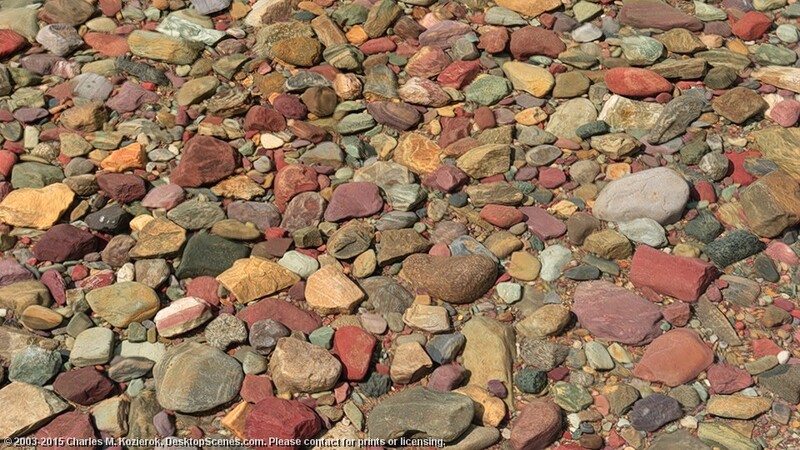 A close-up view of some of the incredibly beautiful rocks in the shallow water near the shore of Lake McDonald. We saw countless shades of yellows, oranges, greens, red and purples, and the entire lake bed was like this. Can you imagine mile after endless mile of such pretty rocks? Some of the stones were even many colors at once -- look in the lower left corner of this image, and you can see a single rock with cream, pink and beige bands.